Managing perceptions of South Africa is essential to increasing the country's global economic competitiveness and attracting foreign investment. This was the key message coming out of a seminar hosted by Brand South Africa at Wits Business School in Johannesburg on Wednesday 2 April, titled International Perceptions of South Africa in a Complex Emerging Market. Petrus de Kock, Brand South Africa’s research manager, said the country’s competitiveness in an increasingly globalised world depended on understanding how it was perceived by its trading partners, both traditional markets and the emerging markets set to drive global growth in coming decades. De Kock presented findings from a 2013 survey to determine the world’s perception of South Africa. This questioned 860 investors in 18 countries, including the US, UK, Nigeria, Kenya and Japan, as well as South Africa's Brics partners Brazil, Russia, India and China. It also aimed to find out what drove investment decisions, identify barriers to investment in South Africa, and determine which industry sectors investors associated with the country. A main concern foreign investors have with South Africa is its geographical distance from major markets. But De Kock said the country’s developed infrastructure could overcome the issue of distance. The World Economic Forum, he said, ranked South Africa 11th in the world for the quality of its air transport infrastructure, and the country can confidently claim to be a hub for transshipment, logistics and services. The survey backed this up: despite their concerns, investors were attracted to South Africa for its infrastructure. The survey also asked about the Trilateral Free Trade Area (TFTA), a pending agreement between the Southern African Development Community, East African Community and the Common Market for Eastern and Southern Africa to open up borders. Around 33% said they were aware of the TFTA; 90% of those agreed that such a pact would create opportunities for increased interaction, trade and investment. Dr Shima Nokaneng, the group executive of Business Intelligence at the Gauteng Growth and Development Agency, said the TFTA was a huge drawcard for foreign investors looking to do business in Africa. When the TFTA was fully implemented, he said, investors would be able to freely trade between 26 countries in eastern and southern Africa. Despite South Africa’s attractions for investors, the survey found there were concerns that might prevent investors from doing business here. Their main worry was crime, of which 17% were aware. Political corruption (16%), safety and security (7%), high costs and low profit margins (6%), and geographical distance (5%) were the other factors that caused concern. Agriculture was the second highest sector associated with South Africa, followed by tourism, which De Kock said dropped in perception from 49% in 2012 to 44% in 2013. Awareness of manufacturing increased from 29% in 2012 to 36% in 2013, but the wholesale and retail trade dropped from 36% to 28% in the same period. “Last year, we saw quite a dramatic spike in the association to retail because in the year before that , there was a lot of news about the Walmart deal in the global press. So this year we’re just seeing a tapering off of that awareness,” De Kock said. Which channel of publicity works? Television emerged as the most popular medium, De Kock said, followed by online sources and newspapers. 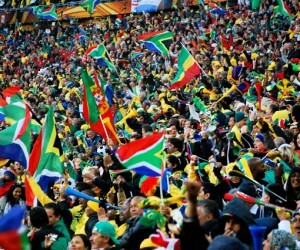 About 42% of information about South Africa on television was positive, 20% negative and 37% neutral. In Brand South Africa’s nation brand index, China is currently the country’s best market globally in terms of perception, awareness and familiarity. “It is no coincidence that in the last 15 years, in a very short time of our diplomatic relations with China, there’s been an incredible increase in trade, awareness and all kinds of other layers of interaction,” De Kock said. 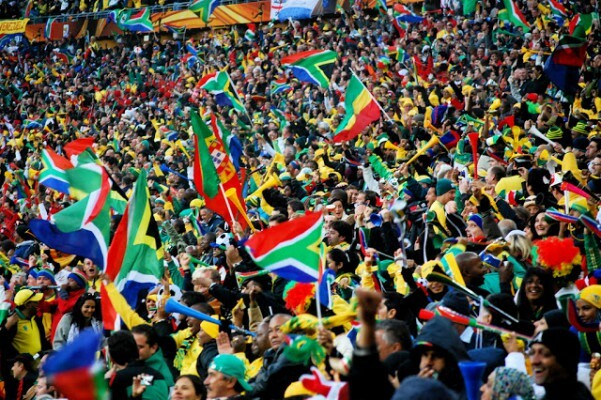 Of Chinese respondents, 84% were familiar with South Africa. India and South Korea were tied at second with 67% knowing about the country. The rest of the Brics nations rounded up the top-five attractive investment destinations with India following at second with 34%, Brazil at 33%, South Africa at 32% and Russia at 31%. Nokaneng called for action to improve the country’s competitiveness. He said for South Africa to grab the new growth opportunities elsewhere in Africa, the country would need to be competitive in a number of sectors. To do that, it would have to improve some of the competitive pillars the World Economic Forum identifies in its Global Competitiveness Index. These include quality of institutions, infrastructure, health and education, labour market efficiency, macro-economic environment and financial market development. In the WEF’s 2013–2014 Global Competitiveness Report, South Africa was ranked 53rd out of 148 countries based on the competitiveness index. It was the leader in five criteria including strength of auditing and reporting standards, efficacy of corporate boards, protection of minority shareholders’ interests, regulation of securities exchanges, and the legal rights index. South Africa had improved in four of the 12 competitiveness pillars: institutions (41), goods and market efficiency (28), and business sophistication (35). Nokaneng said technological readiness attracted investors, as it allowed them to expand their market. South Africa needed to commercialise and patent more of its business-enhancing innovations. The structure of the country’s economic profile would be changed by innovation, Nokaneng said. In the WEF’s report, South Africa was considered an efficiency-driven economy, focused on resources. But by allocating and using its resources productively, he said, it could head toward the next level – an innovation-driven economy.